Divorce is a life changing event that most people never imagined would happen to them. The shock and emotional turmoil associated with a divorce can be devastating. The subsequent pain experienced by the children and those close to the family can be difficult to manage. During a divorce, one of the most sensitive relationships is between a father and his kids. The divorce proceedings can fray this relationship as both parties vie to have their interests heard. Fortunately, Florida law recognizes the importance of preserving paternal relationships during the trying times of divorce and has a system in place to help cultivate and maintain this relationship. An experienced and understanding divorce attorney can be a valuable asset as a father goes through a divorce. The right attorney will fight to protect your interests and the interests of your children. Having a good understanding of your rights and entitlements can help ensure a smoother transition during the divorce process. Unfortunately, the family court system has the reputation as a place where women are favored, however, this is not the truth in today’s day in age. Family law courts are now actively working to provide equal rights and treatments to all parties. It is now common to see fathers working with the court to ensure they maintain an active presence in their children’s lives. Courts are far better at maintaining an objective position and now seek to evaluate the circumstances to determine the ideal parental situation for all parties involved. As difficult as it may seem, effective co-parenting is the best thing fathers can do following a divorce. Maintaining an amicable relationship with your ex-spouse can substantially benefit your children. Working to create and maintain a parenting plan that is best for the children can help create the sense of a good family environment in a less than ideal situation. In the end, children are always better off if they are able to maintain a healthy relationship with both of their parents. Ultimately, everyone agrees that the most important thing during a divorce is ensuring that a child’s best interest are taken care of. Setting aside personal issues and focusing on parenting a child the best you can is always the right choice. In certain situations, it is actually common to see divorced fathers spend more time with their children than they did when they were married. Creating and maintaining a reliable schedule and using time effectively will ensure that fathers maintain their paternal responsibility and help develop their children. This is especially critical in situations where the relationship with the ex-spouse is not amicable. A family law attorney will prove to be an invaluable asset as you go through a divorce. Your attorney will help you understand your rights and can develop a plan to ensure you are treated fairly during the process. 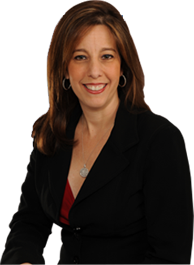 If you have questions about the divorce process, or are currently going through a divorce, contact attorney Sandra Bonfiglio, P.A. in Fort Lauderdale. Attorney Bonfiglio is a knowledgeable and experienced divorce attorney in Fort Lauderdale who can fight to ensure your interests and relationships are protected.